If you can capture some Reflections at Dana Meadows, Yosemite National Park then you know you're in for a good day. Dana Meadows can be found at the eastern entrance to the park, at the foot of Mount Dana not far from the Tioga Pass entrance station. 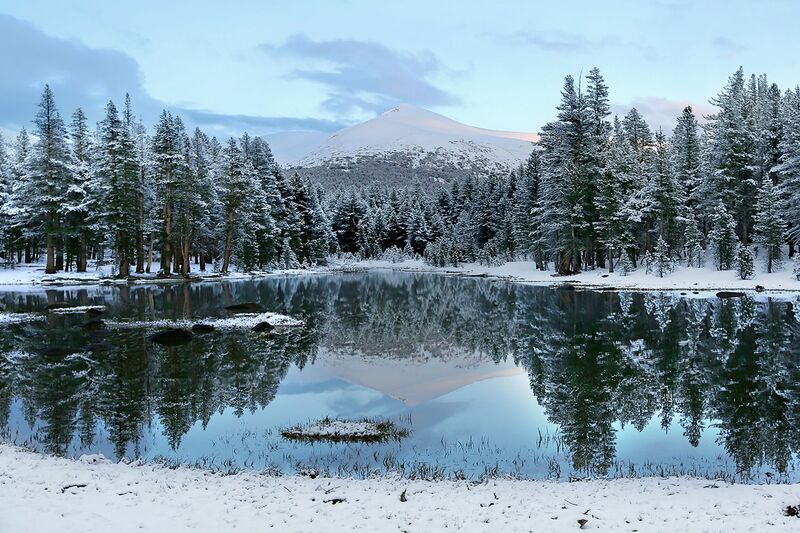 At an altitude of 9,728 feet, the meadows can be covered in snow up to 162 inches deep in wintertime. In June or July, it is springtime in these meadows, but snow can still come at any time - and come it did.